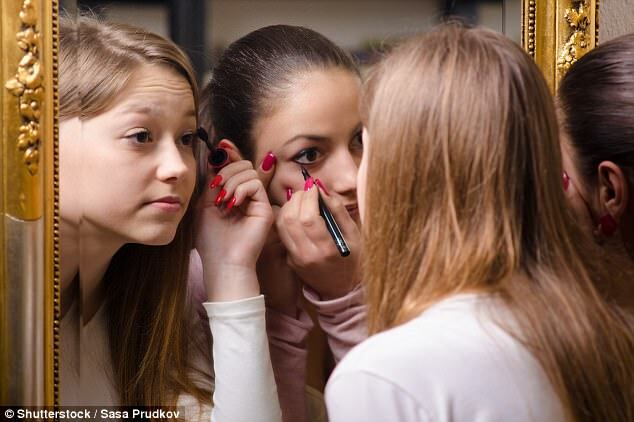 An Australian man has accused his daughter's school of sexism after female pupils were treated to a makeover while their male counterparts were taken to a hardware store. Stephen Callaghan, 51, from Wongarbon, New South Wales, penned a brilliantly sarcastic letter to Dubbo West Public School, criticising them for dividing school activities 'sharply along gender lines'. He later shared a copy of the letter on Twitter where it quickly went viral, with almost 8,000 'likes' as fellow parents applauded him for speaking out. Stephen wrote: 'I must draw your attention to a serious incident. When Ruby left for school yesterday it was 2017 but when she returned home in the afternoon she was from 1968. He added: ‘Are you able to search the school buildings for a rip in the space-time continuum? Perhaps a faulty Flux Capacitor hidden away in the girls toilet block?‘I look forward to this being rectified and my daughter and other girls at the school being returned to this this millennium where school activities are not divided sharply along gender lines.' His withering letter was met with approval from fellow parents after being shared widely on social media, with Stephen telling Metro.co.uk that his daughter was 'indignant' after being told that the trip to Bunnings was 'only for boys'. And speaking to fellow Twitter users, Stephen added he believed the school's policy was 'no malicious' but 'good old everyday sexism'. Ruby's school later sent out a response to the sexism row via social media, writing: 'A long tradition at Dubbo West Public School has been activities including preparing hair and light make-up with professionals on the day of the Year 6 graduation. ‘Several years ago, the visit to Bunnings replaced the previous boys’ activity. The school is happy to accommodate any student who prefers the alternative activity. 'I must draw your attention to a serious incident. When Ruby left for school yesterday it was 2017 but when she returned home in the afternoon she was from 1968. ‘Are you able to search the school buildings for a rip in the space-time continuum? Perhaps a faulty Flux Capacitor hidden away in the girls toilet block? ‘I look forward to this being rectified and my daughter and other girls at the school being returned to this this millennium where school activities are not divided sharply along gender lines.